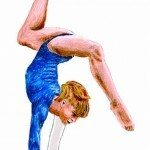 Hereâ€™s a great drawing ofÂ UkrainianÂ gymnast Olga Strazheva done by one of our favorite artists, Bobbie Cole. You can see more of Bobbie Cole’s great work here. 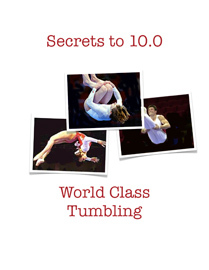 Hereâ€™s a great drawing of gymnast Ecaterina Szabo done by one of our favorite artists, Bobbie Cole. You can see more of Bobbie Cole’s great work here. 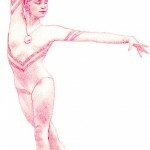 Hereâ€™s a great drawing of gymnast Olga Mostepanova done by one of our favorite artists, Bobbie Cole. You can see more of Bobbie Cole’s great work here. Here’s a great drawing of gymnast Olessia Dudnik (also spelled Olesya Dudnik) striking a pose on the balancing beam done by one of our favorite artists, Bobbie Cole. You can see more of Bobbie Cole’s great work here.